On the night of the Oldham West and Royton by-election result I accused the Labour Party of engaging in “dangerous identity politics.” The result of me uttering this sentence on TV was that the political journalists both local and national went into a spin. Labour politicians were also horrified and tried to suggest I was being racist, which of course I wasn’t, and they knew it. Indeed, calling someone is a “racist” is the fall back tactic for Labour politicians when they know they’ve been rumbled. By “dangerous identity politics”, I meant ditching one’s own values and pandering to the prejudices of others. And the Labour Party is doing this on an increasingly regular basis, which I maintain is dangerous politics. They did this on a minor scale in Oldham when Labour politicians (both Oldham MPs and local councillors) attended a meeting that was segregated on the basis of gender. This meeting was organised by the Labour Friends of Bangladesh and was a political meeting, not a religious one. Labour of course denied the meeting was gender segregated, but it was obvious to anyone who saw the photos that men and women were sitting on opposite sides of the room. More evidence then came to light that the Labour leader, hard left London luvvie Jeremy Corbyn, had also been addressing gender segregated meetings. 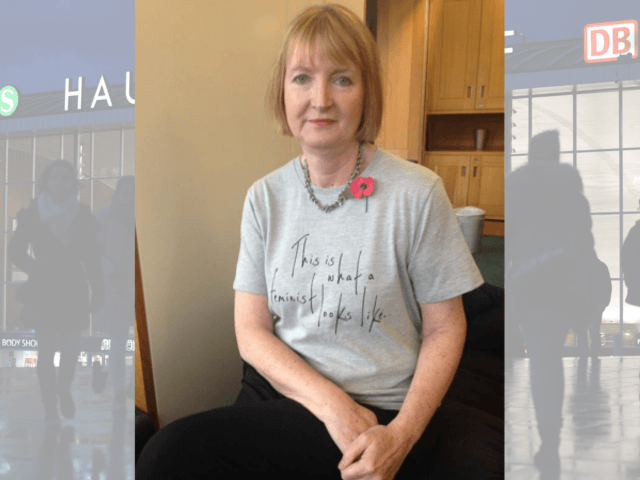 Now one would think such gatherings would vex Labour feminists like Harriet Harman, but she has never publicly said a thing. Maybe this was because her husband, Labour MP Jack Dromey, was also caught addressing a gender segregated rally in Birmingham last year. The question surely must be: Why do Labour politicians agree to address such meetings? The answer is simple: votes. They cast aside their so-called profoundly long held beliefs and values to appeal to the Muslim community in areas like Oldham and Birmingham because they are reliant on their votes. They need the community leaders to sign people up in large numbers to postal votes and they need the Imams to tell those who attend the mosques to vote Labour. It is an unholy alliance of the Left and Muslim community, but interestingly it is only the Left that panders, making it an uneven relationship. But gender segregated meetings in Oldham are only the thin end of wedge of “identity politics”. And one does not have to be Sherlock Holmes to deduce that the Muslim votes mattered too to the local Labour Party. It is disgusting and embarrassing to think that things like this happen in 21st century Britain. We heard very little from the Labour feminists regarding the Rotherham grooming scandal, but we should not be surprised as they have form for this. Note their lack of condemnation of polygamy, forced marriage, the oppressive burqa and female genital mutilation. Their silence on these subjects has been deafening for years. Barbara Castle would be turning in her grave. And now they have done it again in 2016. Last week I decided to look at the social media accounts of the self-professed Labour feminists to see what their reaction was to the New Year’s Eve sexual attacks in Cologne. Let’s not forget that up to 250 women were sexually assaulted so you would think that the Labour feminists would be up in arms speaking up on behalf of their beleaguered German sisters. But no, not a peep. I scoured through the social media accounts of London Labour MPs Harriet Harman, Diane Abbott, Emily Thornberry and leader Jeremy Corbyn and there was not even a mention of these grotesque assaults. Now, I wonder why the Left wing feminists have refused to say anything? Perhaps it’s because the attacks were committed by more than one thousand men of “Arabic or North African” appearance who were undoubtedly Muslim “refugees”? It’s just a hunch. I also have a sneaky suspicion that these same people would have been at the forefront of the condemnation if these attacks were committed by white, Christian, German men. This is just another in a long line of examples of Labour politicians turning a blind eye to unacceptable behaviour because it is coming from a certain section of the community. This is what I meant when I accused the Labour Party of engaging in “dangerous identity politics” and I can assure you now, it will only get worse. Paul Nuttall is MEP for the North West, Ukip Deputy Leader, and Head of the British Delegation of Ukip MEPS in the Europe of Freedom and Direct Democracy group in the European Parliament.